Obituary for Jack L. Parker | J. F. Rice Funeral Home, Inc.
Mr. Jack L. Parker died peacefully with his family by side on Wednesday, July 4, in Johnson City, New York, at the age of 86. Jack is survived by his three sons, David Parker of Georgia, Thomas Parker of North Carolina and Scott Parker also of Georgia. He has five grandchildren and two great grandchildren. He is preceded in death by his wife, Phyllis Rosenthal Parker, and most recently his last remaining sibling, Helen Parker Hamill. Jack was born on April 30 in Johnson City to Joseph and Mabel Parker. 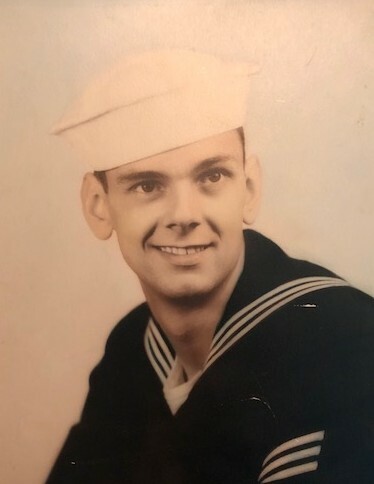 He served in the Navy and was honorably discharged in 1955. His children remember him as a gentle man, with a quick wit and a keen sense of humor. He told jokes until the very end. He was a devoted Yankee fan. Jack was also a contented man, who lived the last years of his life just as he wanted, in his home in Johnson City, sharing good times with family and friends. Funeral services will be held at the J.F. Rice Funeral Home, Inc., 150 Main St., Johnson City, Monday, July 9, 2018 at 1pm, burial will be private at the convenience of the family. The family will receive friends at the funeral home from noon until the time of service. All are welcome to attend and celebrate Jack’s life. In lieu of flowers, please send donations to Lourdes Hospice Care. The family would like to thank the Lourdes Hospital staff for their care during Jack’s final days.